Forty percent of Austrians believe things were not all bad under Nazi leader Adolf Hitler, according to a poll released Friday. Forty percent of Austrians believe things were not all bad under Nazi leader Adolf Hitler, according to a poll released Friday by the Market Institute for the Der Standard newspaper. Researchers sampled 502 subjects throughout the country, of varying ages. They found a rise in the number of respondents – 61 percent this time around, mostly elderly Austrians – who favored the idea of a “strong leader who does not have to worry about a parliament or elections” as a leader. The statistic was three times higher than that seen in 2008, 20 percent at the time, the paper reported. Of those surveyed, 42 percent said “not everything was bad under Hitler,” while 57 percent said they saw “no good aspects” to the Nazi era. The poll was released in time to mark the country’s 75th anniversary of its annexation by Nazi Germany, referred to as a “union,” or “Anschluss” with Germany in 1938. At that time, cheering crowds greeted Adolf Hitler when Austria was conquered in the bloodless coup by Germany. Researchers found not much has changed since then. 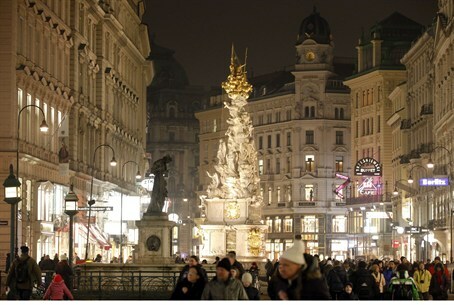 Of those surveyed, only 15 percent said Austria should have fought to retain its independence. The remaining respondents were split on the issue of Germany’s annexation of Austria: 42 percent said going to war would have made matters worse, and 43 percent said it would have made no difference. Respondents were not quite split on the issue of whether Austria was a victim in the coup or had actively participated in the coup: the majority, however – 53 percent – believed Austria had voluntarily allowed the annexation. Only 46 percent saw Austria as a victim in the takeover. Austria goes to the polls in September to elect a new government, and analysts are questioning whether its current centrist coalition will survive.